I sat with Kay, Bernie and Anna at breakfast that morning. 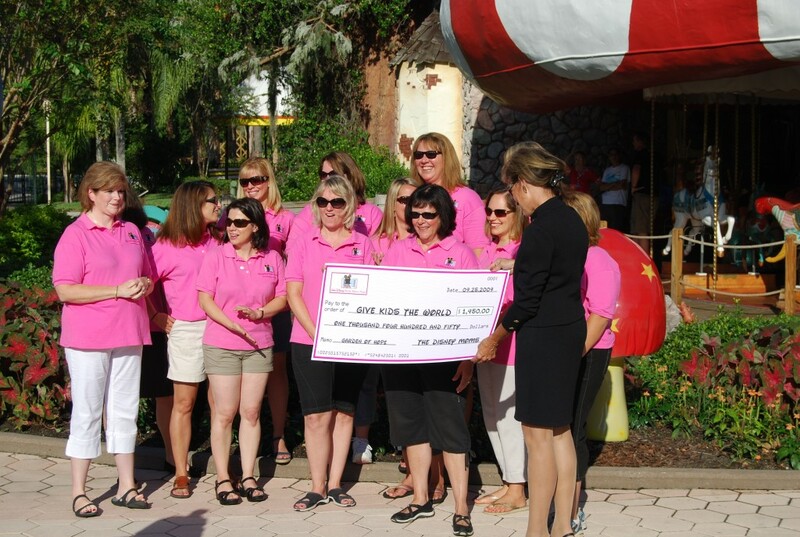 During 2009, Anna had spearheaded fundraising efforts to donate money to the Give Kids the World Village in Central Florida. 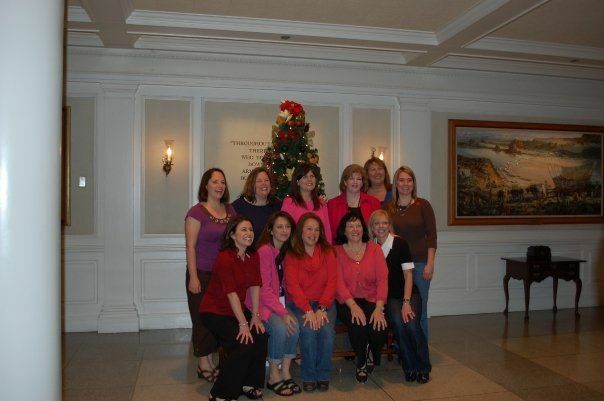 Together with fellow members of the Moms Panel in 2009, they raised $1,450 to help bring happiness to children with life threatening illnesses. They decided to make it an annual tradition. 2009 Moms give $1,450 to Give Kids the World - photo credit: Anna S.
So, in the early Spring of 2010, I got the chance to get to know Anna better. She had reached out to the newest members of the family, in hopes of “passing the torch” for the fundraising. Since Give Kids the World is near and dear to my heart, I welcomed the opportunity with open arms. I was honored to have been entrusted with her “baby”. Anna was so very helpful in answering my questions about the project and sharing her suggestions. 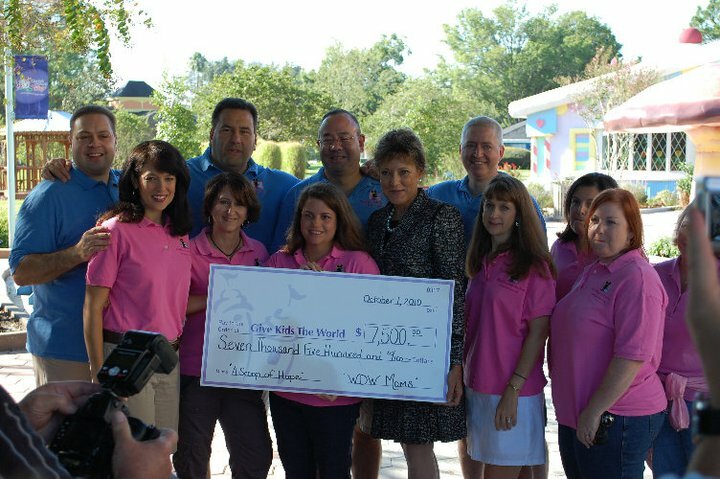 With an even bigger combined group than they had in 2009, our family raised $7,500 which we presented to the Village in 2010. I should note that this fundraising has nothing to do with our position on the Panel, it is simply a cause that we all believe in and are honored to be a part of. I saw Anna again at our Moms Panel Reunion in October 2010. She had her family with her and I had mine. It was so nice to meet them, and her 3 daughters are beautiful! 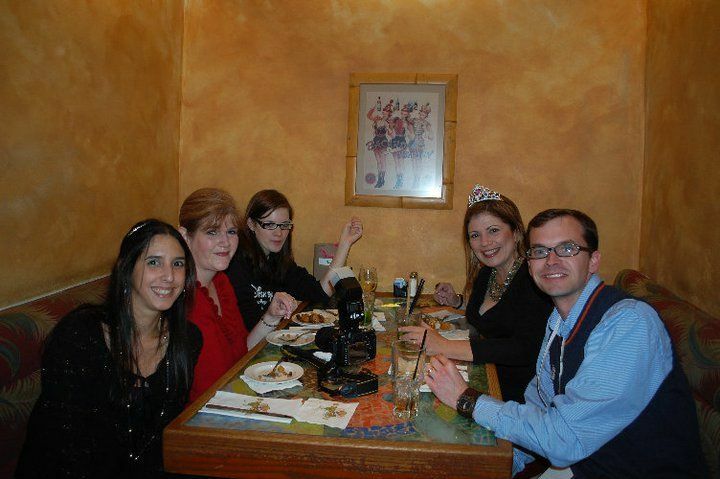 Then, in December of 2010, we flew down to welcome the newest Members of the Moms Panel Family. We met up in the lobby of the Yacht Club as we waited to head over to the Big River Grille together. I really enjoyed spending some quality time with Anna that weekend. 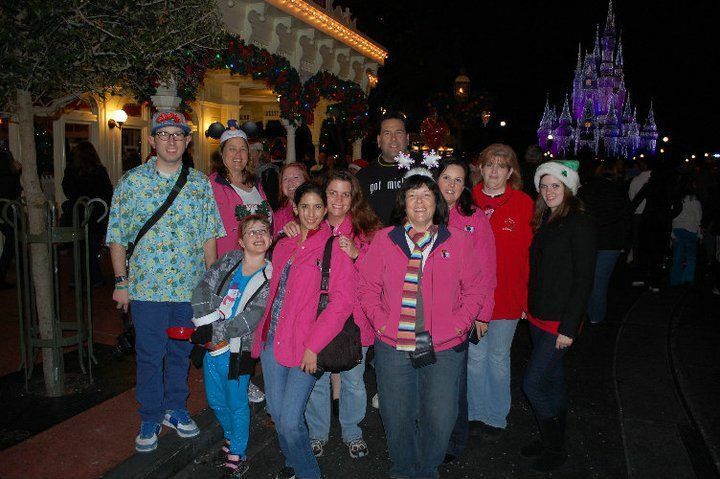 We had a great time at Mickey’s Very Merry Christmas Party together. She has an awesome sense of humor and is super sweet. Here we are on Main Street watching the snow fall. 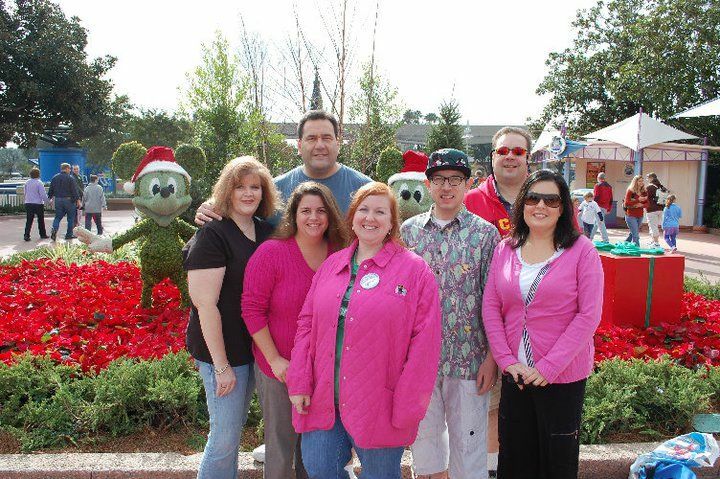 From left: Joel, Diane L, Bri’s daughter, Suzannah, Maria, Me, Chris, Kay, Amanda A, Anna and her daughter. 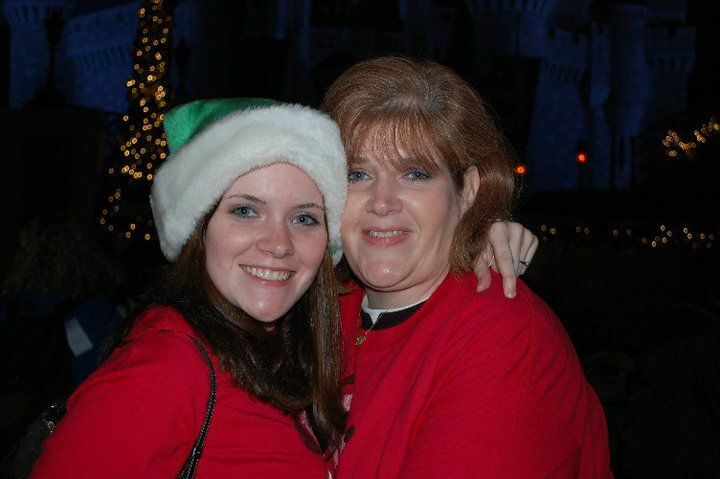 …and I especially loved seeing her enjoying time with her beautiful teen daughter. 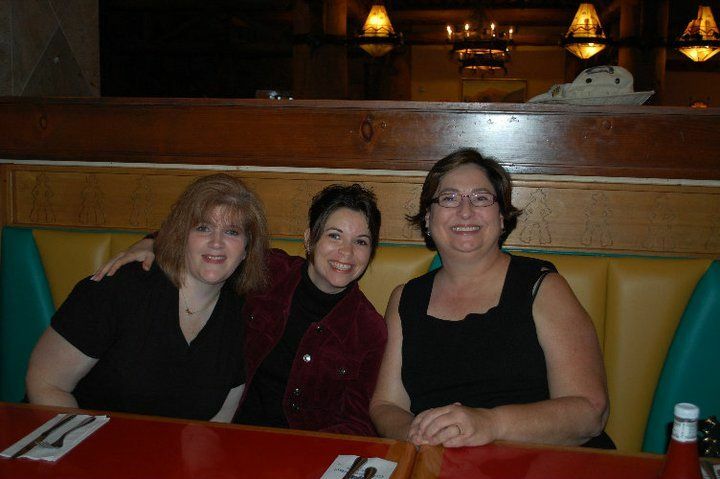 …and then we helped Suzannah celebrate her birthday at the Whispering Canyon Cafe. Here’s Anna with J.L. 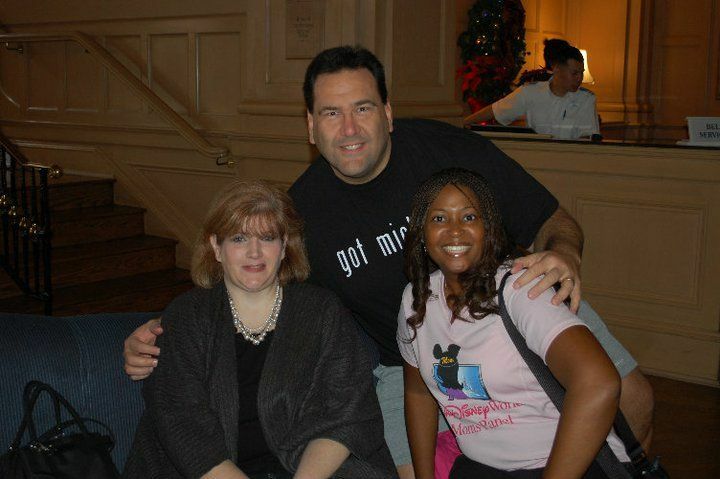 from the Disney Driven Life and Vicki Barrett from the Hidden Mickey Guide. 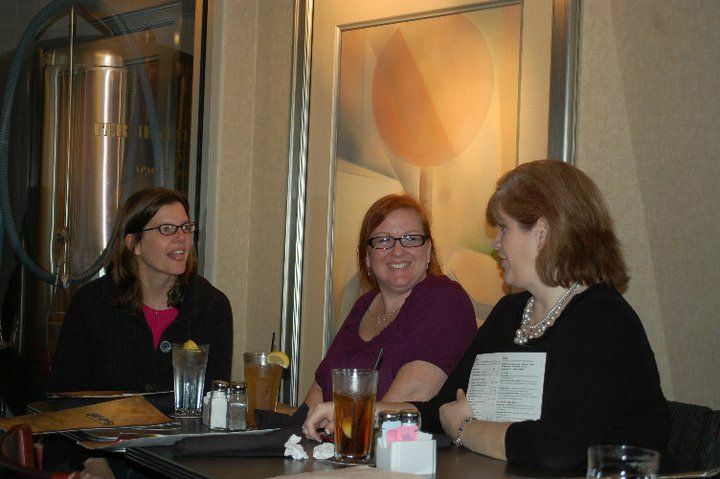 That evening we chatted with new Panelists at Bongo’s. Here’s Maria and Anna (and her daughter) chatting with Wes and Ritzy. I’m looking forward to seeing Anna soon. Once again this year, we are continuing our tradition and are hoping to donate even more to Give Kids the World in just a few short weeks. Anna recently shared a little about our cause on her blog. You can read that here. Please consider donating to help a child who is facing a life threatening illness enjoy a vacation in Florida. Every little bit helps make wishes come true. Click HERE for more details! This entry was posted in Charities, Disney Moms Panel Monday, Give Kids the World, Walt Disney World Moms Panel and tagged Disney Moms Panel Monday, Moms Panel Monday, Walt Disney World Moms Panel. Bookmark the permalink. Glad you enjoyed it! 🙂 Thanks for being such a great friend. Thanks for sharing about your friend Anna. She’s clearly a caring person supporting a great cause. Have fun at the upcoming Disney Mom’s Reunion.